Pick Up’s at various points of the Costa Del Sol as indicated in the time schedule and departure to Granada. On arrival you will have freetime, optional lunch. 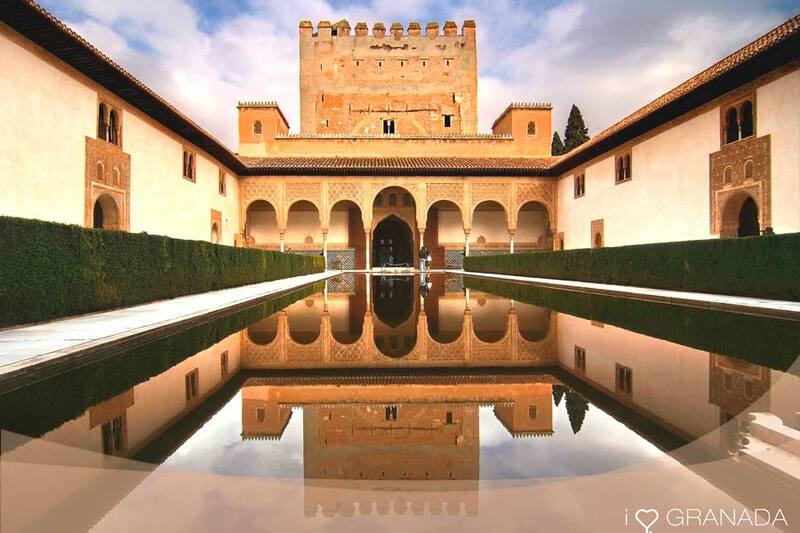 Afterwards we will then visit the Alhambra (Universal renowned Arabic Monument) Generalife Gardens, and the palace of Carlos V. We then return back to Costa Del Sol. GRANADA OLD HISTORIC TOWN: During your free time in Granada, we included a visit of the old historic part of the city. We can admire amongst other monuments, the Angustias Church, the Patron Saint of Granada , the silk market, the cathedral and royal chapel. No Show Policy: In case of no show at the correct time & Meeting-Point, No Refund will be granted. Departure every: Tuesday, Wednesday and Friday. Description: Pick Up’s in various points and Hotels of the Costa Del Sol at the indicated time schedule and Departure to Seville. On arrival we will begin our panoramic tour by bus to include famous streets, plazas, Maria Luisa Park, Plaza de España and Torre del Oro. 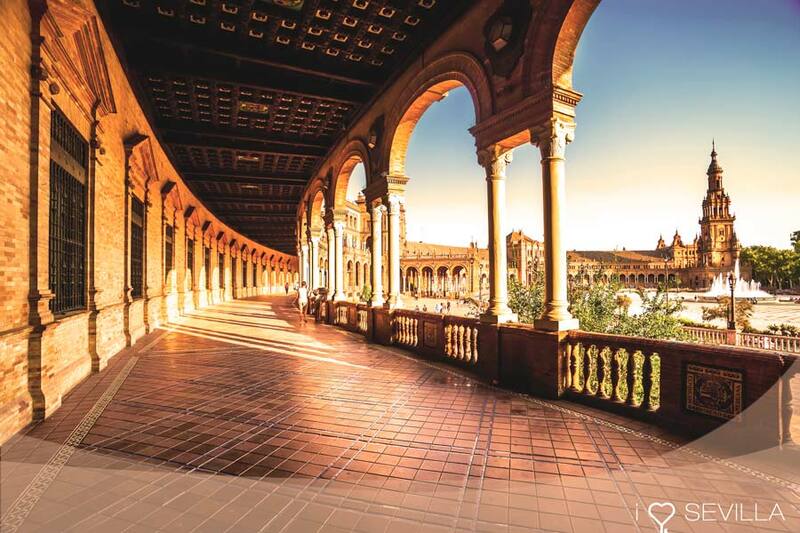 We will continue our visit to the centre of the city accompanied by our local guide that will show us the most beautiful corners of this great town, Barrio Santa Cruz, the cathedral, simbol of the city that unites islamic past to the christian cathedral. Free time for optional lunch until the scheduled return to the Costa Del Sol. SEVILLA GUALDALQUIVIR CRUISE: During your free time we recommend an optional and interesting cruise of the Guadalquivir that will give you a distinct view of this wonderful city. Departure every: Wednesday and Friday. Pick Up’s in various points and Hotels of the Costa Del Sol at the indicated time schedule and Departure to Cordoba. 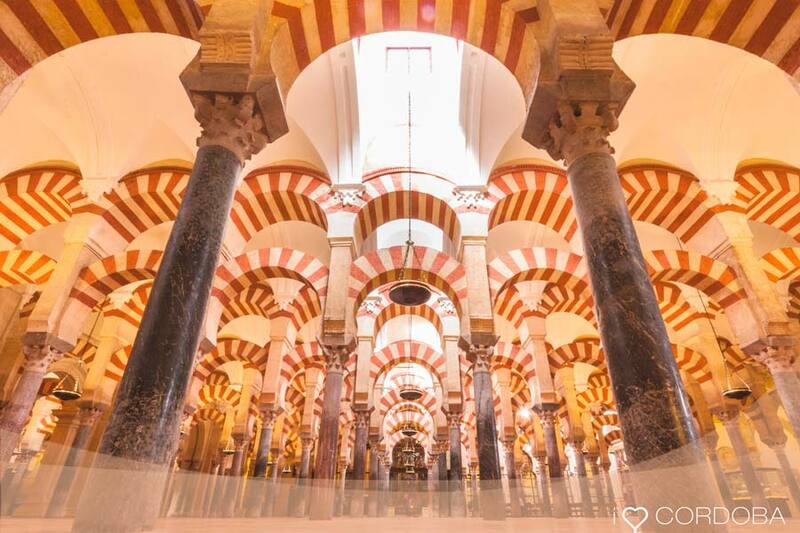 On arrival we will begin our visit of the Mosque-Cathedral (Mezquita), authentic creation made of columns and arcs, simbol of the city and delcared a World Heritage monument. Afterwards a brief walk through the jewish quarter where we can visit the synagoge. We then return to the Costa del Sol. CÓRDOBA OLD HISTORIC TOWN: During your free time, we included a visit of the old part of the town. Pick Up’s in various points and Hotels of the Costa Del Sol at the indicated time schedule and Departure to the “Serrania” of Ronda to enjoy its magnificent scenery. 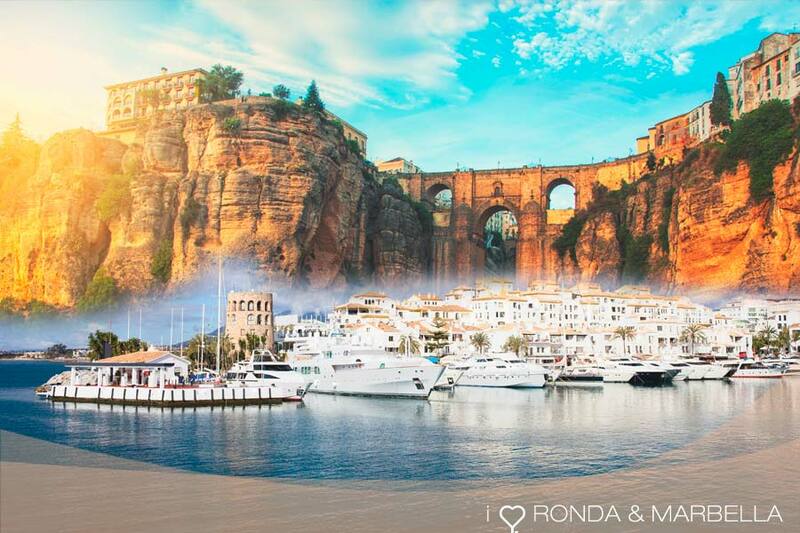 Ronda, city of famous “romantic” bandids (bandoleros) and Bullfighters traditions. Its impressive “Tajo” (Gorge) with superb views can be enjoyed from the New and Arabic Bridges. The Tajo’s depth reaches 120 metres We will start the Monumental tour with the bullring, built in the 18 th century. This bullring is the oldest in the world also we will visit the Wine Museum and taste its exquisite wine. Below these bridges. Free time to enjoy this wonderful city and spectacular views of the mountainside. At Scheduled time, departure to Marbella, free time in the center and return to your hotels. MARBELLA OLD HISTORIC TOWN: During your free time, we included a visit to the old part of the town. We can admire amongst other monuments, Los Naranjos square, the Townhall, local church, San Juan de Dios Chapel and the park. In the following link you will be able to find all the information it brings over of our terms and conditions.